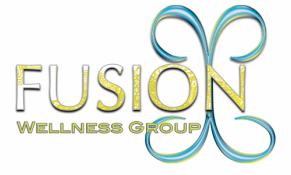 Workshops - Fusion Wellness Group Compassion. Connection. Commitment. If you are interested in sponsoring an RMT course in your area please contact us!! Sponsors can earn multiple incentives! Rhythmic Movement Training (RMT) is dedicated to bring integration and balance to children and adults with specific learning challenges (including ADD/ADHD, dyslexia, autism), motor problems, postural imbalances, emotional and behavioral problems and general life overwhelm. RMT works at integrating infant reflex patterns through replicating developmental movements, gentle isometric pressure and self awareness. RMT works with integrating the retained, or underdeveloped, infant reflexes (also called primitive reflexes or neo-natal reflexes) that are involved in learning challenges such as ADD/ADHD, dyslexia, dyspraxia, writing problems, focussing and comprehension challenges, co-ordination difficulties and Asperger’s Syndrome. It has also been successful in working with people with anxiety, panic, emotional imbalances, behavioural problems, schizophrenia, Parkinson’s, psychosis, PTSD and general overwhelm. RMT is based on the work of Kerstin Linde, a Swedish movement training specialist, who developed movements based on her observations of how infants are meant to move. Dr Harald Blomberg, a Swedish psychiatrist, met Kerstin in the mid-1980s and started to use the movements with his patients and found that they had profound effects. He also met Peter Blythe of INPP in Chester UK at about the same time and started to investigate the role of retained primitive reflexes in learning challenges. Moira Dempsey, an Australian Educational and Developmental kinesiologist became interested in the role of retained reflexes in learning and behavioural challenges in the mid 1990’s. She met Dr Blomberg in 2003 and started using the movements with herself and her clients and noticed remarkable results. In 2011 Harald and Moira released the RMT book Movements that Heal. Who can benefit from Rhythmic Movement Training? All Rights Reserved. Reproduction without written permission is prohibited.